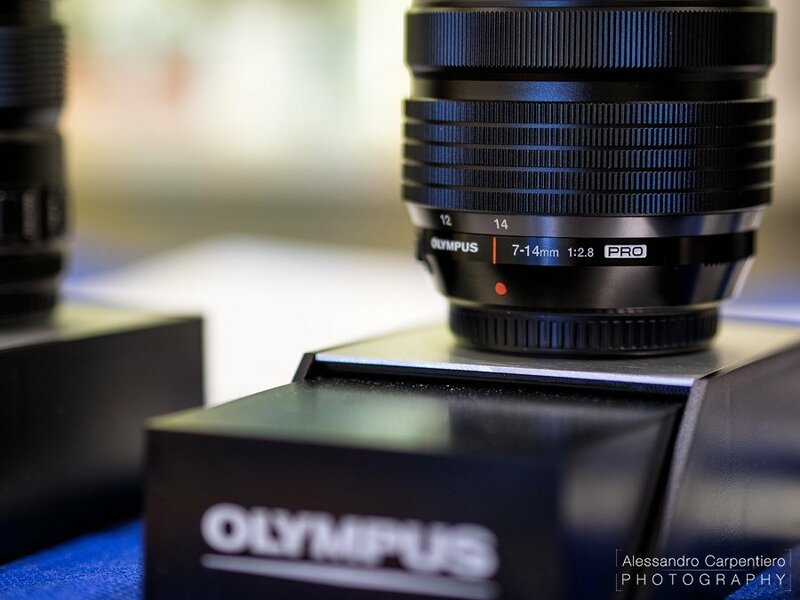 This weekend I attended to the “Olympus Day” in Milano, where I was lucky enough to see and test these long awaited lenses in national preview. 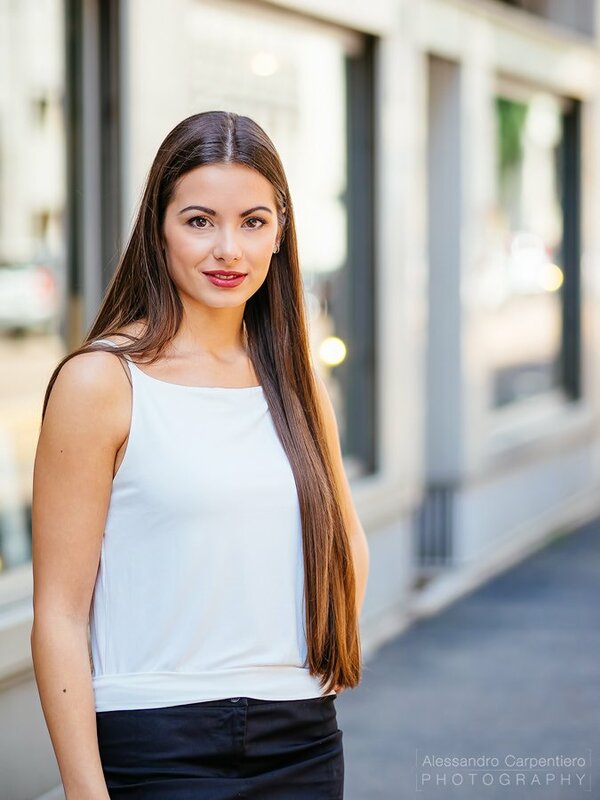 (For the Italian version of this article click HERE). 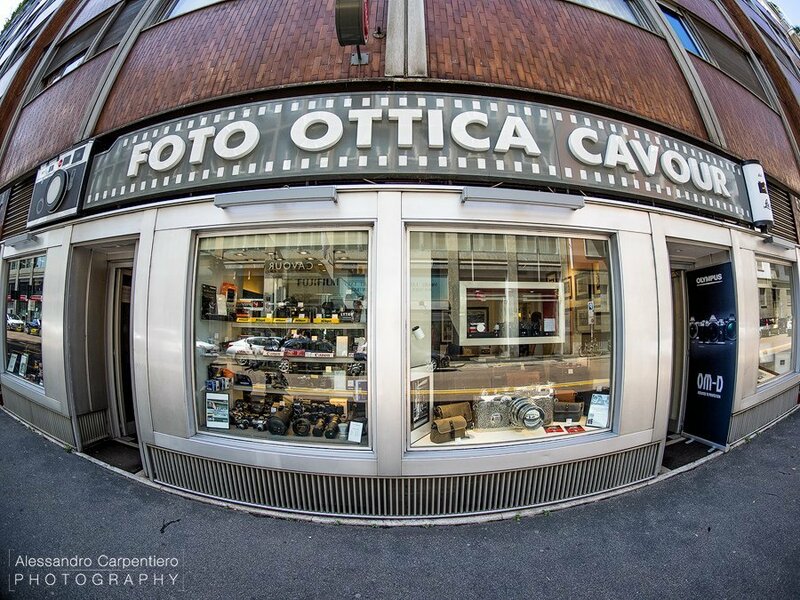 The event took place at Foto Ottica Cavour, one of the best photography shops in Milano (don’t bring your wallet except if you’re willing to spend everything :D). It is the widest and brightest lens for MFT cameras (14-28mm equivalent on a full frame camera). 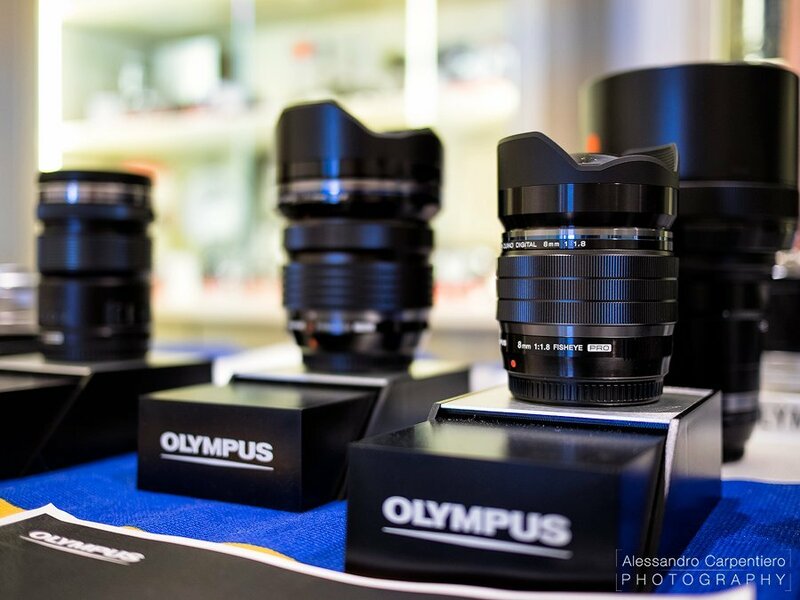 As the other “Olympus PRO” lenses, the build quality is simply stunning: top notch materials, extreme polished finishing, great feeling. Its dimensions are similiar to the 12-40mm ones, but it’s a little heavier: 107 x 78 x 78 cm for 540g. That’s really incredible if you consider that for example the Nikon 14-24mm f/2.8 is 132 x 98 x 98 mm and weights 970g. Basically this new Olympus lens weights 60% of an equivalent full frame lens. Let’s see some shots I took with this lens! 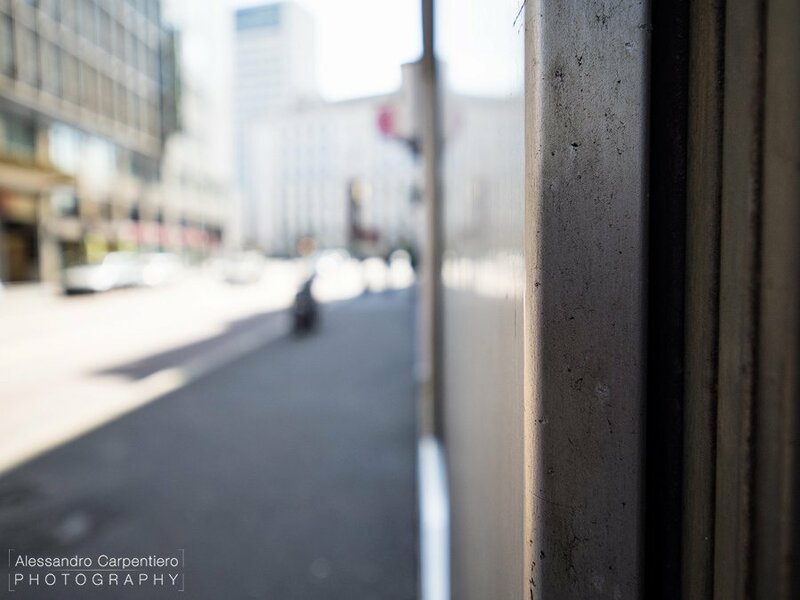 I couldn’t wander around so much with the test lens, so I had to settle with what I had available: a Milano street and an Olympus model. Not bad! All the shots you’ll see were taken with my Olympus OM-D E-M1 and the perspective/distortion has not been corrected. The shots were taken at f/2.8 because I was interested into seeing the sharpness at the maximum aperture value. The lens is very linear with a basically absent distortion: lines are very straight, making it THE lens for architectures, interiors, ecc. It does tend to stretch a bit the edges, but that’s part of the game. Razor sharp: seriously. I dare you to find a 14mm 2.8 lens with these edges. Chromatic phenomenon: Chromatic aberration is very well controlled thanks to 3 Super ED lenses, 1 ED lens and 2 EDA lenses, while the ZERO (Zuiko Extra-Low Reflective Optical), while Coating aids in minimizing ghosting. Interesting bokeh: I know, wide-angle lenses are not famous (nor bought) for their bokeh, but I believe this can be an “extra bonus” for this lens. The minimum focusing distance is just 7.5cm (you really gotta be careful not to touch the subject with the lens aspherical lens) and you can have very interesting results. 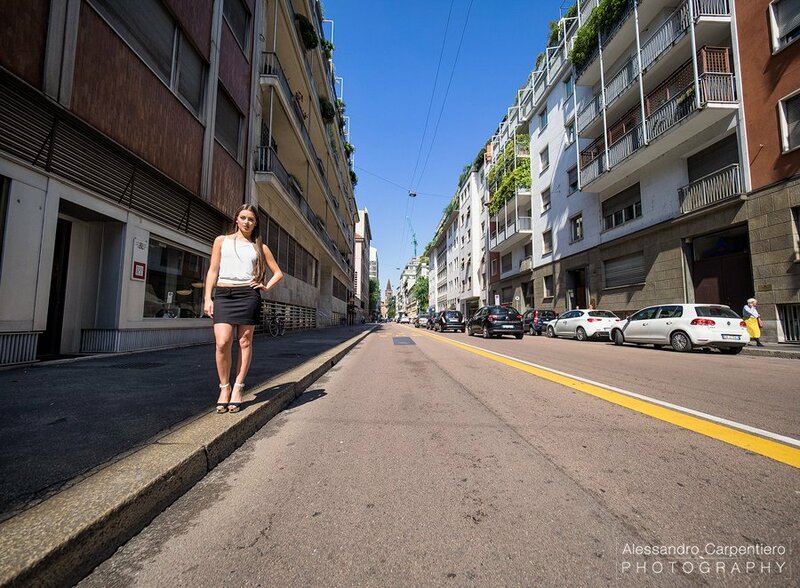 At 14mm (28mm equivalent) it can also be used for some interesting street photography shots. 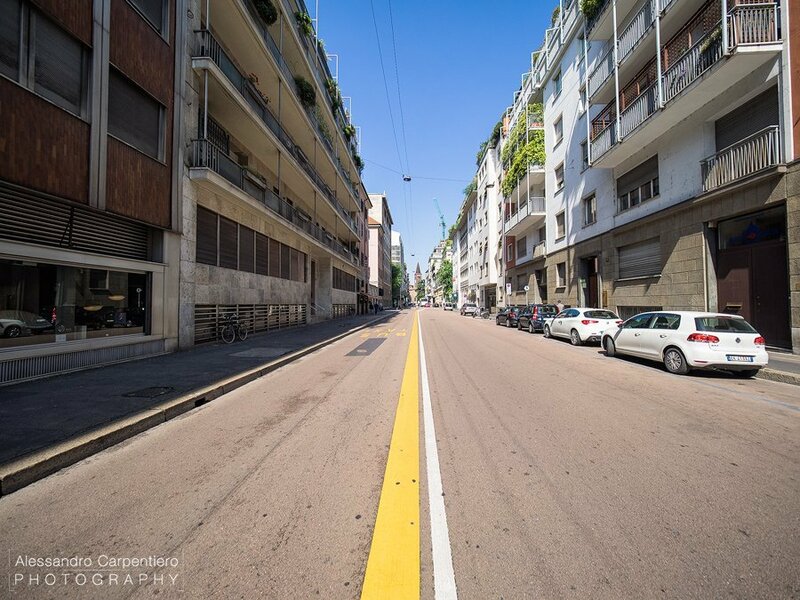 As you see the “stretched edges” typical of a super-wide lens are not present at 14mm. Here’s a 100% crop of the above shot to show you the sharpness at the edges. I am seriously impressed. 100% crop at the edge: incredible details! This lens will be released somewhere around June/July and it’ll cost 1299$ / 1290€. If you want a super wide angle lenses, with a bright (and constant) aperture value, this is the one. Long story short, I’ll get this lens as soon as it’ll be available. I currently have the Olympus 9-18mm (which I love), but the difference from 7 and 9mm (14 and 18 equivalent) it’s quite huge, especially if you shoot architectures, interiors and landscapes. If you follow my photography work, you know that it came a point where I started taking way too many fisheye shots (seriously). 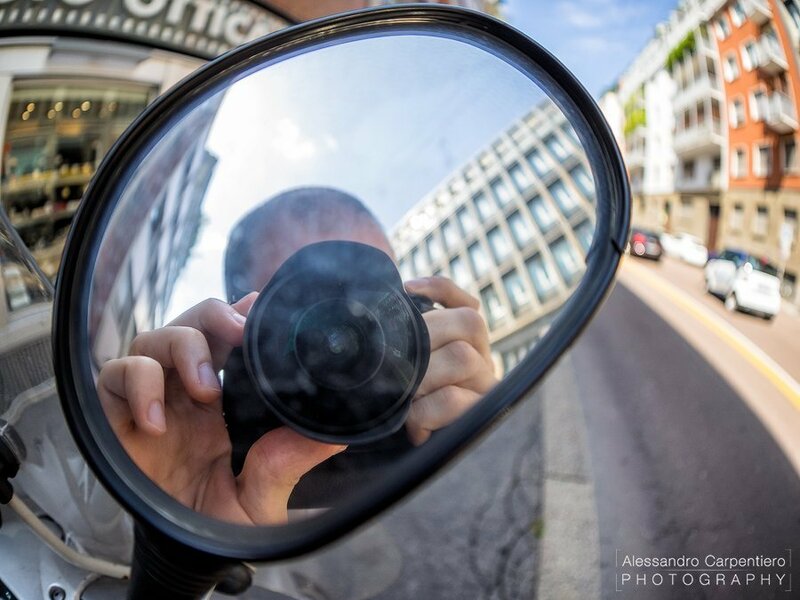 That time has passed, but I still find the fisheye a useful and quite fun lens to use. 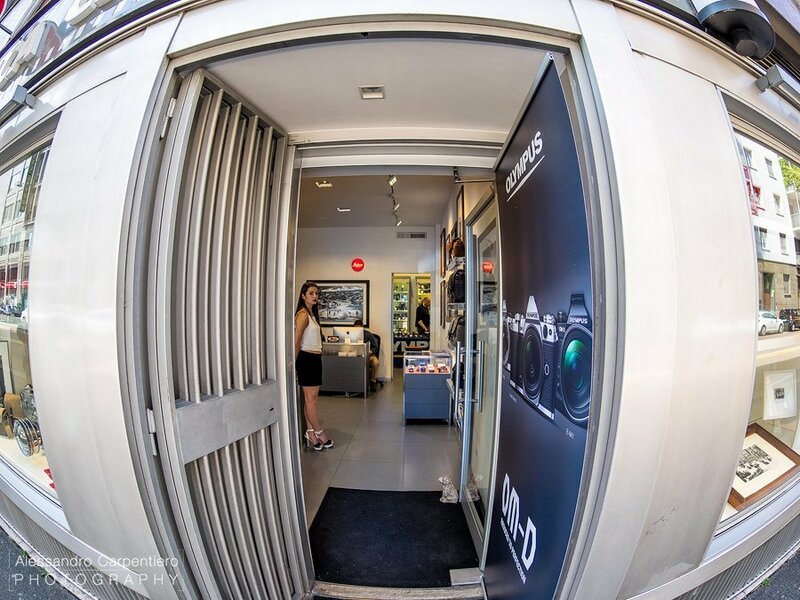 My current fisheye is a cheap one (with a decent quality), but well…Olympus has just released the brightest fisheye in the world with the same PRO family features. It’s a small lens (80 x 62 x 62 mm) and light one (315g). There weren’t many suitable subjects (the model ran away when she knew I was testing the fisheye) 🙂 So this is what I have. Incredible build quality. Yes, Olympus is doing a really great job with its PRO lenses. The building quality is wonderful for all of them. The lens distortion is very much present but well, it’s the main feature of this lens. It looks sharp also at f/1.8. Chromatic aberration was a little visible at f/1.8, but easily fixable with one click in Camera Raw. Bokeh: the minimum working distance is just 2.5cm (really really close). This makes it interesting for creative uses. This lens will be released as well during the summer, and it’ll cost 899€ (999$). I personally don’t think I’ll purchase this one, simply because I don’t use fisheye lenses that much (and I’ll surely use them even rarely after I’ll have the 7-14mm), although this would be very much interesting to use for night shots (180° viewing angle at f/1.8 calls for some serious milky way shots!). I also believe that this lens will offer incredible creative capabilities and videomakers will love it. I’m very impressed and pleased by the latest Olympus products: they’ve put a lot of effort not just into creating new cameras, but also into developing an interesting and now complete ecosystem. I was really feeling the lack of a super-wide angle lens in my backpack, but in one month I won’t anymore. 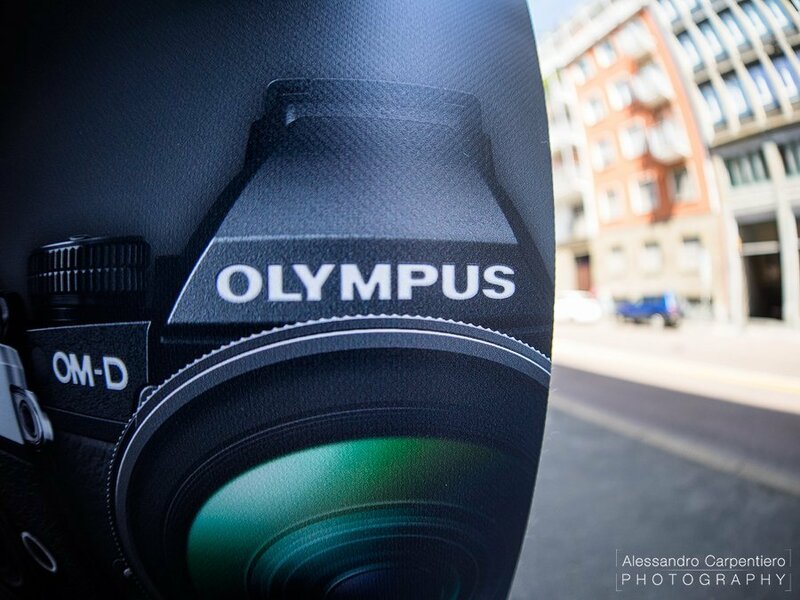 Special thanks to Olympus Italia, Polyphoto and Foto Ottica Cavour. Remember to follow me on Instagram and on Facebook. I love the girl already :D, wanting this lens. And yes, the 75mm f/1.8 is a lovely lens for portrait! Thanks for your comment Bryan! Thank you Mark! Let’s patiencely wait for this great lens! 🙂 thank you!